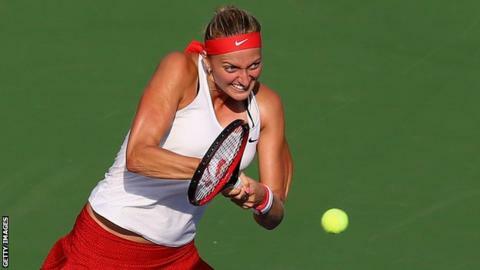 Two-time Wimbledon champion Petra Kvitova recovered from a set down to beat Lucie Safarova in the Connecticut Open final. Czech second seed Kvitova, 25, overcame her compatriot 6-7 (6-8) 6-2 6-2 to claim her third title in New Haven. The world number five will play German Laura Siegemund in the first round of the US Open, which starts in New York on Monday. Safarova, 28, is in first-round action against Lesia Tsurenko of Ukraine.